[Vancouver, BC] On September 13, the Chefs' Table Society of BC, in partnership with the Yaletown BIA and the Streetfood Vancouver Society host the inaugural event Chef Meets Truck in Yaletown at the intersection of Hamilton and Nelson. The event will run from 6:30pm-9:30pm and consists of Vancouver restaurant chefs hopping on board local Food Trucks to serve up the foodie event of the season. This collaborative event brings Vancouver's hottest restaurant and food truck chefs together for the first time ever. Purchase tickets to the inaugural event for $69 + taxes and fees here. 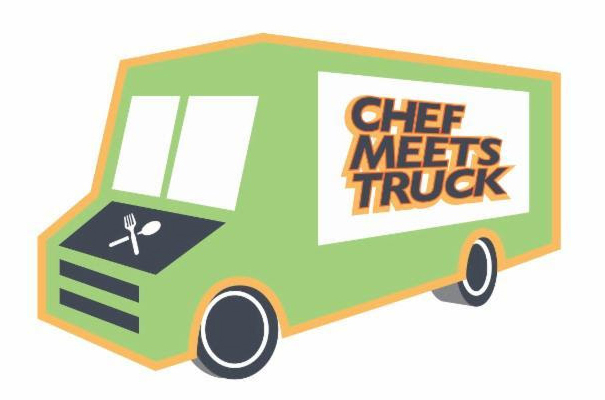 Tickets include food samples from the eight participating food trucks, as well as, wine and beer samples from Nichol Vineyard, Lock and Worth Winery and Brassneck Brewery. A portion of the ticket sales will be donated to the Greater Vancouver Food Bank. The Chefs' Table Society of British Columbia is a registered, non-profit society composed of BC's leading chefs and culinary professionals. It is a chef-administered, province-wide collaborative dedicated to creating a foundation for the exchange of information between culinary professionals. The Society supports innovative and sustainable programs that will inspire, educate and nurture BC chefs, producers and the local food industry. The Chefs' Table Society secures apprenticeships for and bestows bursaries to emerging local chefs and also finances culinary education programs in BC schools. For more information or to become a member visit chefstablesociety.com. Get social with the chefs on Facebook, Instagram, or Twitter.